UWill Discover 2016 will take place March 29, 2016 Ambassador Auditorium, CAW Student Centre. 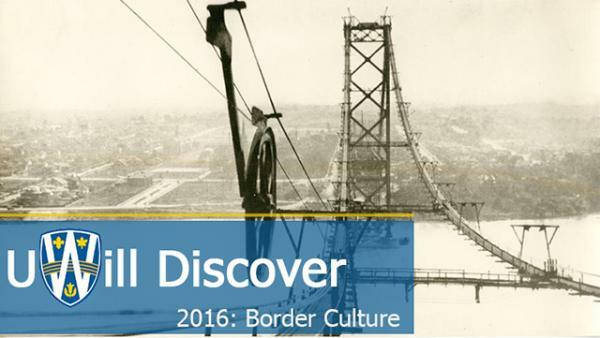 All of the conference information including program, registration, and even the videos of our keynote panel are available at http://scholar.uwindsor.ca/uwilldiscover/2016/. UWill Discover is a campus wide primarily undergraduate conference that showcases research from every department and faculty on campus! It is excellent opportunity for students to share their work in an interdisciplinary context with faculty and their peers. There are also great opportunities for students to get involved in organizing the conference. As Douglas Kneale observes in his recorded opening talk, students often experience research, but miss the meaning – they are doing research, sometimes without even knowing it. This conference draws attention to and celebrates our students’ research and original creative activity. It is an expression of the goals and aspirations of our University, to develop deeper and broader connections between teaching and research, between learning and the community, and between the classroom, the lab, and the working world.